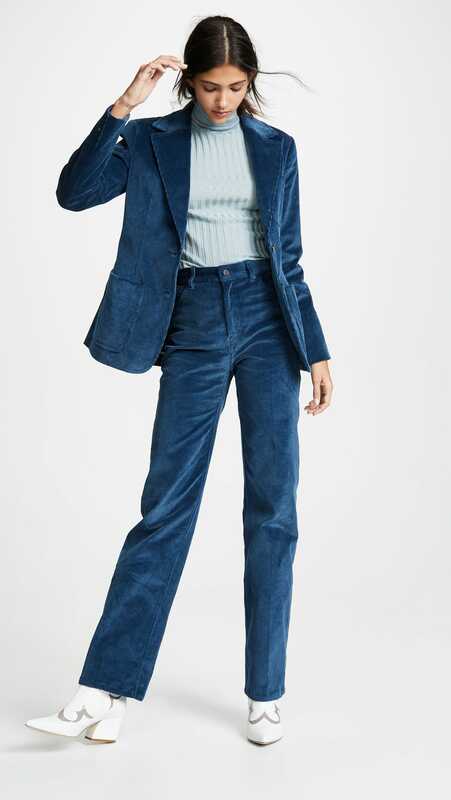 First, there was Zara’s all-conquering, instantly-sold-out lemon yellow corduroy co-ord; a surprise hit (due to the unusual color) featuring a double breasted jacket and cropped trousers. 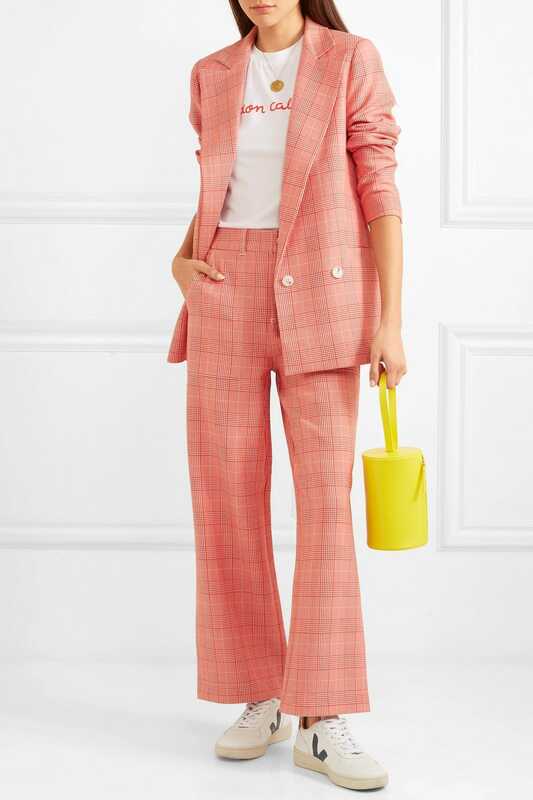 Then, a powder pink version with ’70s-style brown leather buttons appeared at & Other Stories; and soon alternate versions of the New Suit were proliferating absolutely everywhere else. 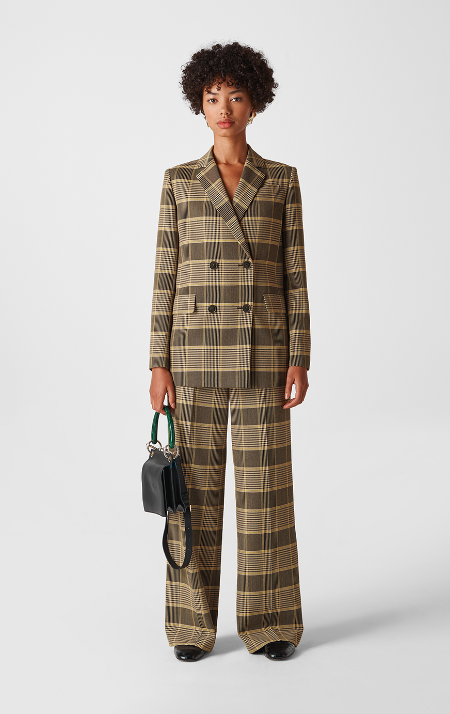 Several months later, and what looked like it might be a brief summer fashion fling is proving to be a trend with increasingly long legs. 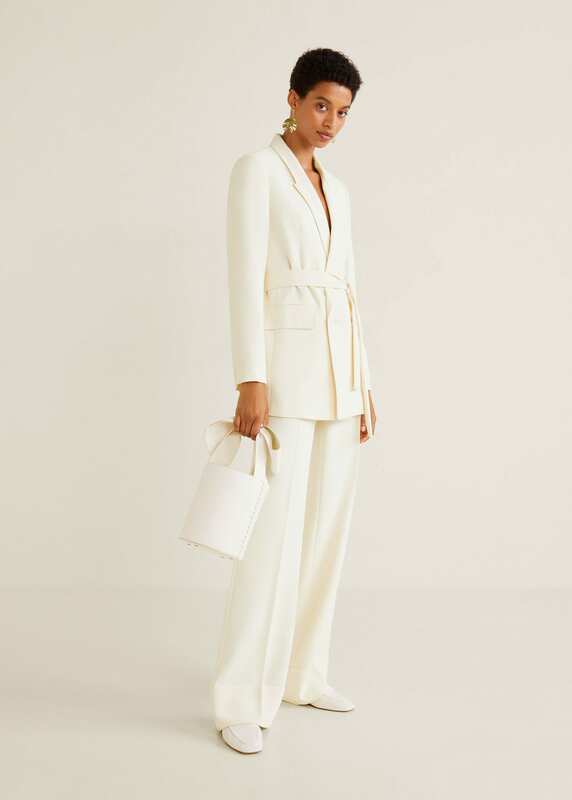 Yes, the pastel shades and ankle-baring trousers of late summer have beaten a retreat, but they were soon replaced by a wide selection of new, more wintery styles – on the catwalks, through the mid-range, and all over the high street. 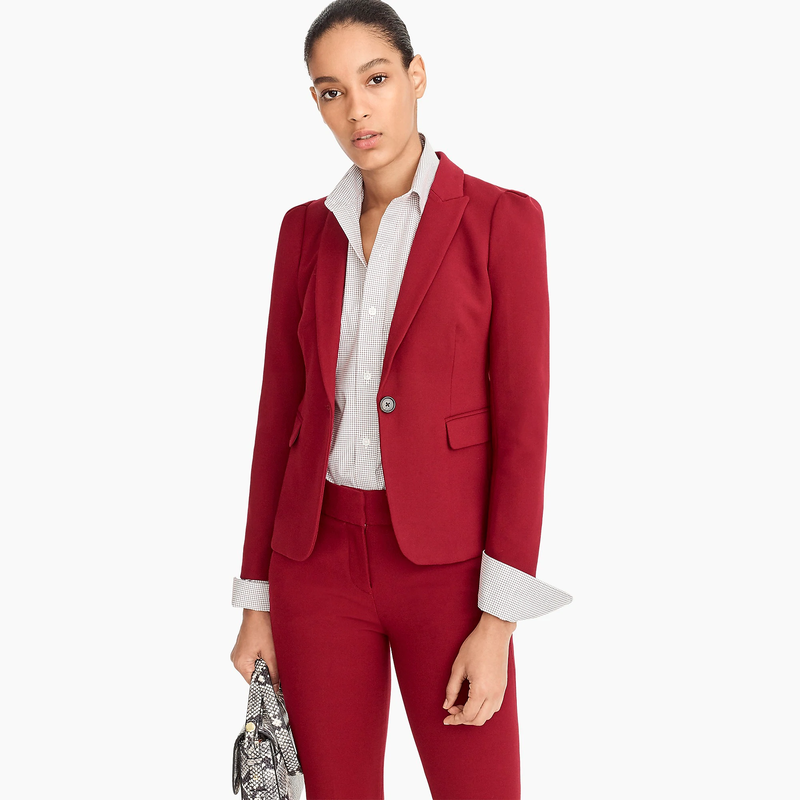 In recent months, suits have taken on an even greater symbolic meaning, one that eclipses their simple efficiency, and is more a modern update to the glass-ceiling busting power suits of the Eighties. For her appearance at Elle magazine’s Women in Hollywood event last week, Lady Gaga eschewed the glittering couture gowns she wore throughout the promotional campaign for her Oscar-tipped film debut, A Star Is Born. 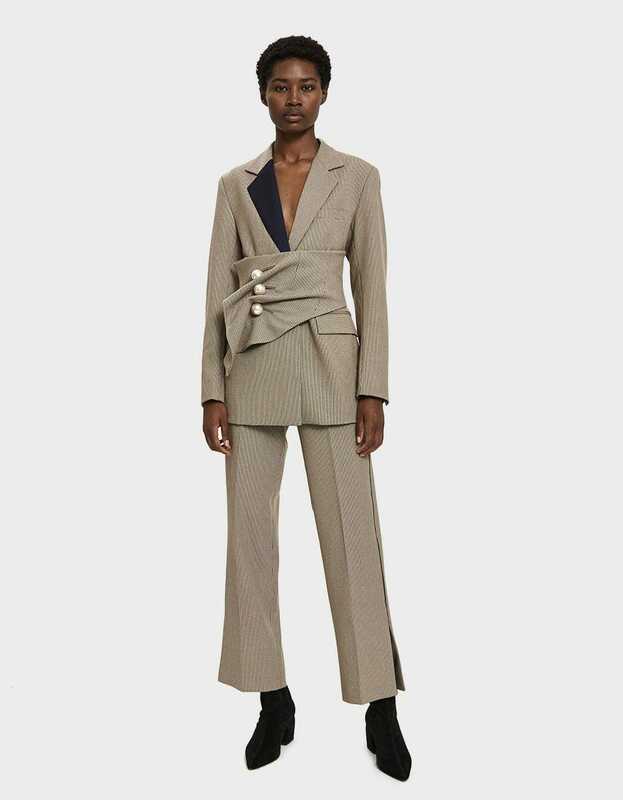 Instead, she opted for an exaggeratedly oversized grey suit from Marc Jacobs’ Autumn Winter 18 catwalk collection – a parade of wrapped-up, colorful ’80s couture style. 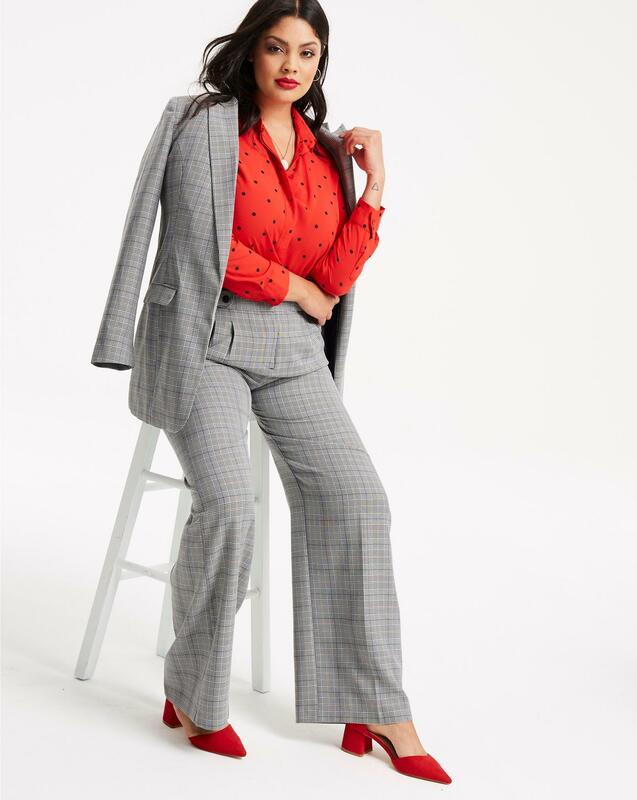 Gaga’s statement-making (in both senses of the phrase) look made waves across the media, and soon gained its first homage: for the launch of Rimmel’s ‘I Will Not Be Deleted’ campaign (raising awareness of appearance-based cyberbullying), Rita Ora wore a bold suit from the same Marc Jacobs collections. 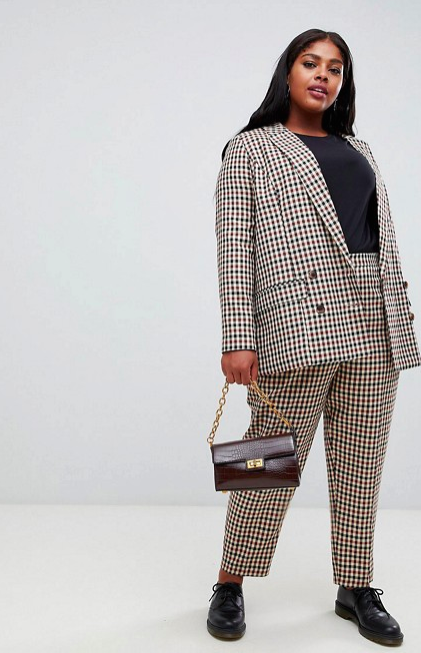 While Rita didn’t comment directly on her suit, it had a powerful visual impact as she spoke about the pain cyberbullying has personally caused her. “Earlier in my career I was completely obsessed with the comments and I saw some hurtful horrible things that made me think twice about [whether] I even want to do music,” she said during a BBC News interview.